Israel’s President, Reuven Rivlin, will decide who will form the next government after consultations with the heads of the political parties that secured enough seats in the Knesset. The President is likely to announce his decision in about a week. Israeli Prime Minister Benjamin Netanyahu, accompanied by his wife Sara, greets supporters. In the final days of the campaign, Netanyahu veered sharply to the right, pledging to annex West Bank settlements if re-elected, and warning his voter base that the end of his strong right-wing government would signal the beginning of a weak left-wing government. 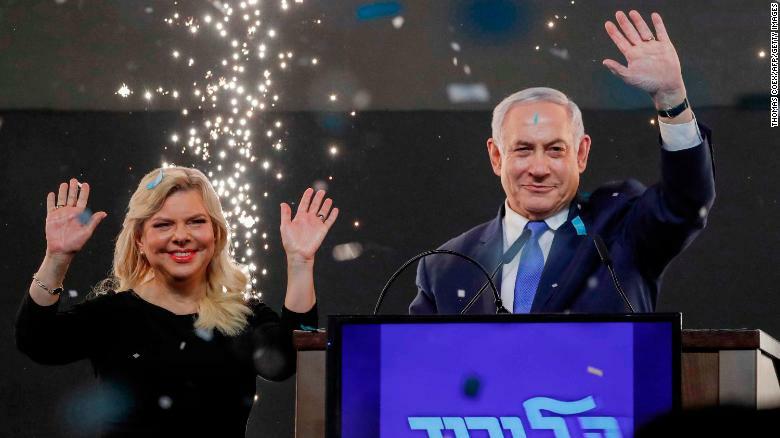 Netanyahu fought the election in the face of looming indictments for bribery and breach of trust offenses, which he sought to portray as a witch-hunt led by left-wing elites and fed by the media. The date for a final hearing in the case is yet to be set. At first, Netanyahu faced a diverse array of opponents. But then three former army chiefs come together with a TV news anchor-turned-politician to create the Blue and White party, named after the colors of the Israeli flag. 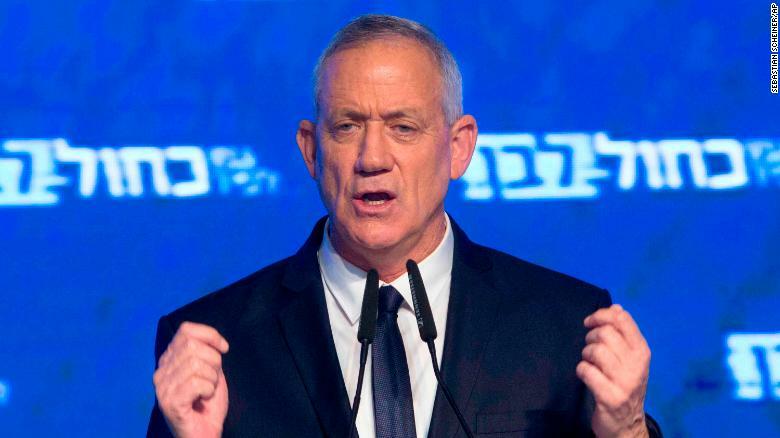 Led by Gantz, a former head of the army under Netanyahu, Blue and White’s polling numbers surged, and the election quickly became a two-horse race. 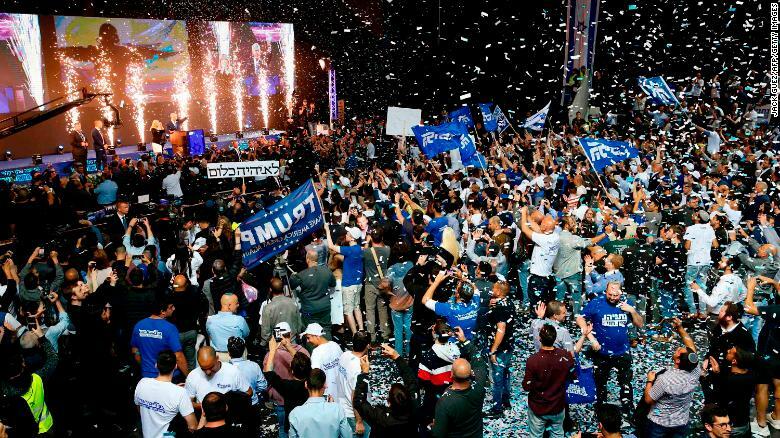 Blue and White party leader Benny Gantz addresses his supporters after Israeli general elections polls closed. Netanyahu — known to supporters and detractors alike as “Bibi” — focused on burnishing his status as a global player with close ties to both the President of the United States and the President of Russia. In a visit to Washington made by Netanyahu during the campaign, Donald Trump signed a proclamation recognizing Israeli sovereignty over the Golan Heights, in defiance of the overwhelming international consensus. And in the election’s closing days, on a visit to Moscow, Netanyahu was able to personally thank Vladimir Putin for Russia’s key role in locating the body of an Israeli soldier who had been missing in Lebanon for nearly 37 years. With his victory all but certain, attention will now turn to the corruption case. The Supreme Court will rule on whether Netanyahu can continue in office if he is charged. For his part, Netanyahu has denied any wrongdoing.